College students mostly like to wear Varsity and Letterman jackets, and in the old days, it is a sign of honor and award. Perfect daily use apparel is made up of cotton and wool, available with different prints or designs to increase the beauty. In today’s world, letterman's jackets (Varsity Jackets or baseball jackets or college jackets) are a lot in business. This style of jacket is being worn all across the world mainly in high school, colleges and even in universities. The origin of letterman jackets was from United States in Harvard University 1865. Starting from there, today the style is much modified for the modern era. Today, many big companies are making these jackets to reflect the shine of baseball jackets with leather sleeves and team names embossed on it but it isn’t actually the modern fashion. The style starts with the ‘H’ logo that only the captain of the sports team of prestigious school can wear in 1865. The style modified in 1930 from simple t-shirt to wool jackets and leather sleeves that is famous today as boys varsity jackets. First check the girls varsity jackets. The fashion was for boys in starting but eventually in 50’s, the style became the desire for girls even. They wear the Brown Letterman Jacket for their boyfriend to have a preppy look that trend themselves as the girlfriend of the schools team captain. Many shining celebrities like James Dean and Elvis wore this style in the era to make it popular among the world. As the time flows, the fashion of college jackets makes their self to catwalks and become the most common style for autumn and winters. Every fashionista owns a girls varsity jackets in their closet due to its very bright color and pattern design. The style was further become the best to wear in summers and winter season as well. The best thing with the baseball jacket is that it can be worn with any style that you like, girls can easily combine it with maxi dresses or leather shorts and boys can wear it with skinny jeans and chinos. College jackets soon become the best alternative for chunky winter coats and a smart style for the addition to anyone’s wardrobe. Fjackets has captured the style and has introduced the best range of jackets from 20th century till the modern 21st century. Fjackets offers ready-to-ship products and even allow their customer to make their own custom jackets. Making it a comfortable wear for you, here you will get your jacket in best quality and comfortable look like no other place. However, there are some difference in ordering standard Fjackets styles and custom jackets that you will require to know before making up your mind for the jacket. With the help of custom jackets look, Fjackets allows people to have their own desired style jackets in their wardrobe that is not possible while ordering the standard styles. This feature allows you to choose the rib knit of your own choice and color that is not possible in standard styles but standard styles are now less than custom looks. They are very well designed according to the modern fashion world and many celebrities have worn the same style that is available here right now. One major fact in ordering custom leather letterman jacket is that it will cost you a bit more than ordering the standard style. Where, if you’re getting the standard style in $1, on the other hand, the custom jacket can cost you up to $5 more. This is not that big amount to have a custom jacket for ordering it by sitting at your comfortable conch but still it can be marked as a difference between the two similar things. If you’re not getting your size on the size chart then custom jackets is a priority for you to go. This will allow you to have fitting of the jacket like you want. Every single inch whether it be black varsity jacket or any other colorful style will be all according to your body and on the next end, in standard style; you have to choose your size from the standard chart. However, boys letterman jacket should have a baggy look with not so fitting and for that, the standard sizes can be a good choice to order from. You can easily add your lucky number or alphabet on your jacket. 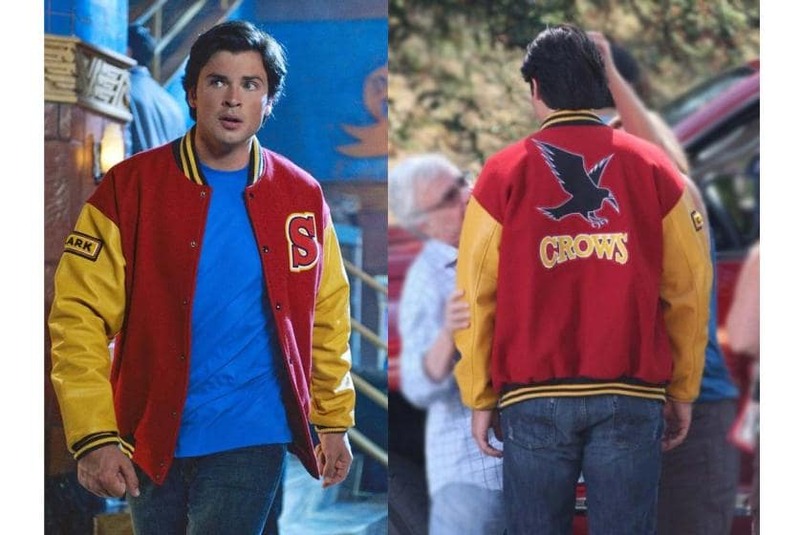 Custom jacket allows many things like this; you can easily add logos of any superhero. You can also add your name on the back of the jacket. However, this only comes in custom jackets; standard jackets don’t allow this benefit. Custom making jacket also allows you to choose the color that you want to have. 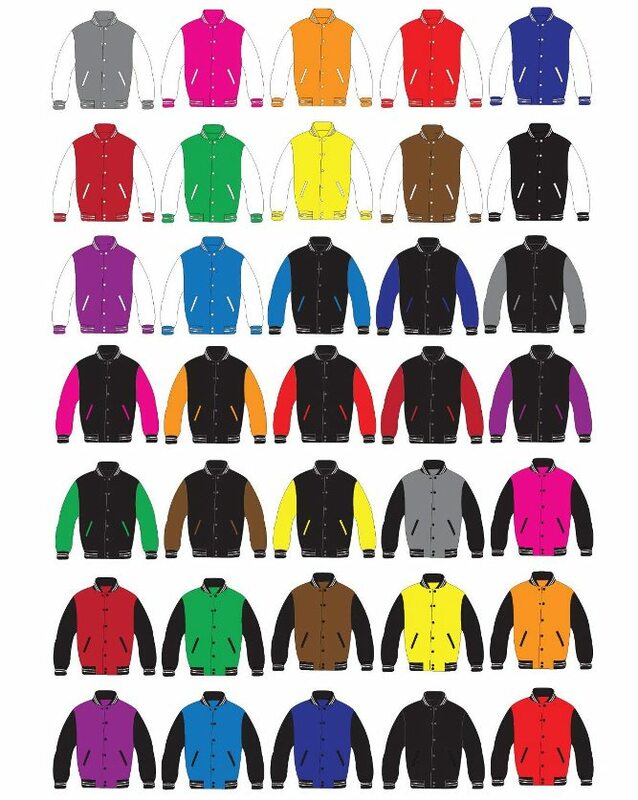 You can order your jacket in any color combination or can order in single color only. 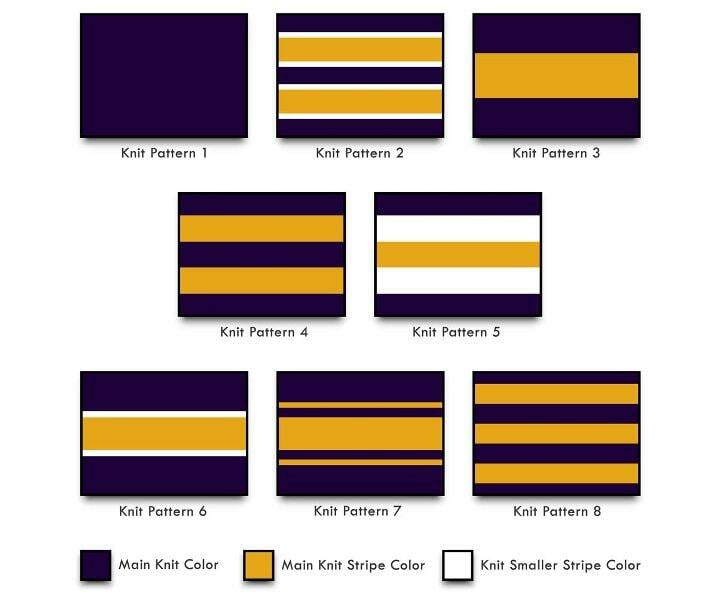 However, Jackets always comes in contrast color where body will be in different color like the all black, yellow letterman jacket, blue varsity jacket, or the red varsity jacket etc and the sleeves will be in different color and sometimes in different material as well. If you order standard style of Fjackets, you will not be allowed to change the color of the jackets. It will come in the color it’s made. A jacket should be comfortable to wear. This requires that the jacket that we have should be made of comfortable material, style and size. Custom Jackets also gives you the chance to make customized decisions of material to choose. Either you want body in leather or sleeves; you will easily get it via Custom letterman jacket. Where, in standard styles, you won’t be able to order your jacket in desirable material. But still people decided to choose what they see in front of their eyes. Everyone would love to get celebrity look in their personal life. There are people who not only watch people on TV wearing jackets but also attire in their varsity letterman jackets for men. You will not get that look by ordering custom jackets. Fjackets has introduced many styles that celebrities have worn. They also have superhero letterman jackets for the comic lovers. These are the major differences between custom letterman jackets and standard style jackets. All these features will direct you to order custom jacket but still Standard jackets are best to order. 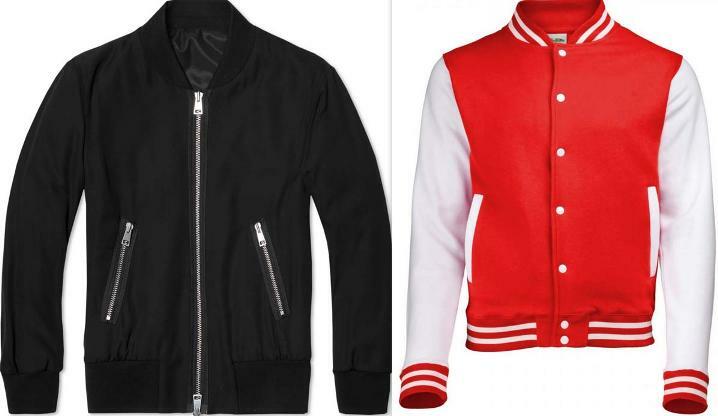 If you have closely seen bomber jacket and baseball jacket, you will find huge similarities in both the jacket. There are very small differences in both styles that make it different from each other. If you’re buying your letternan jacket, make sure you know these first. 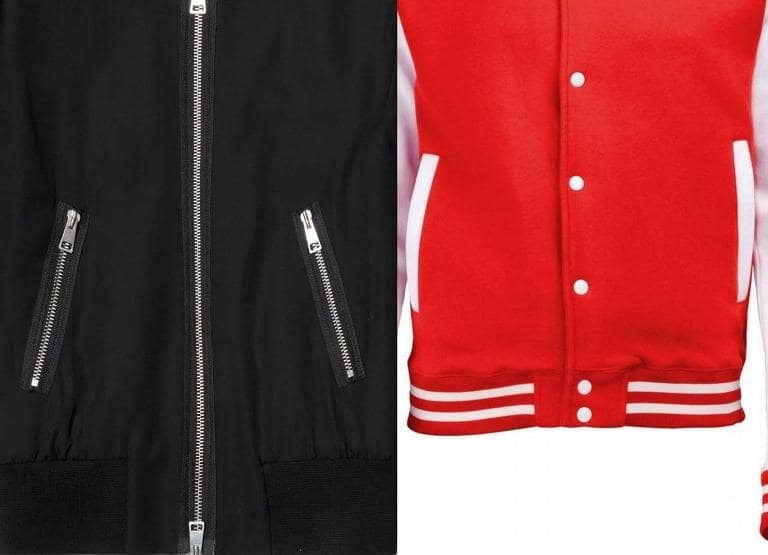 In bomber jacket, rib-knits are normally used on cuffs, waist and collar like baseball jacket but the thing that is different is it won’t have stripes on it. The Rib Knit on bomber jacket is mainly in one color and it’s exactly like the color of jacket. 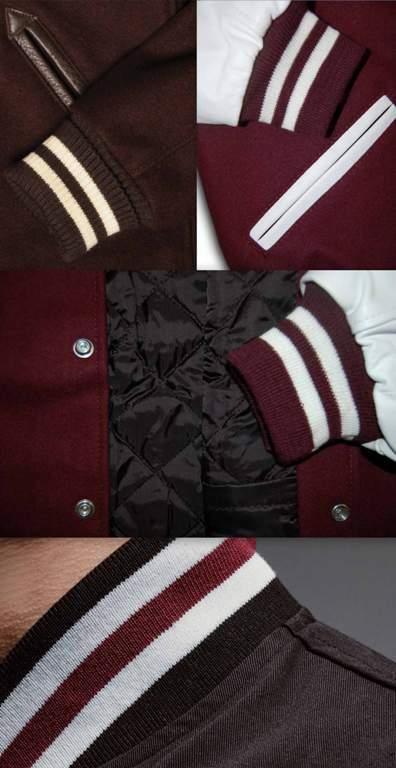 The Rib-knit on letterman jacket is designed completely different from bomber jacket. There are white stripes on the rib knit and usually it has the color matching to the body of the jacket. In bomber jacket, you will find that complete jacket is made of single color where in varsity jacket; the sleeves of the jacket will be different from the color of the body of jacket. This style is traditional and hasn’t changed yet. Varsity Jacket or even varsity hoodie is always carrying patches including number, alphabets or logo of anything. One more thing that only letterman jacket has is the button closure. College Jackets mostly have a standard style of buttons for closure that you won’t find in any other style. 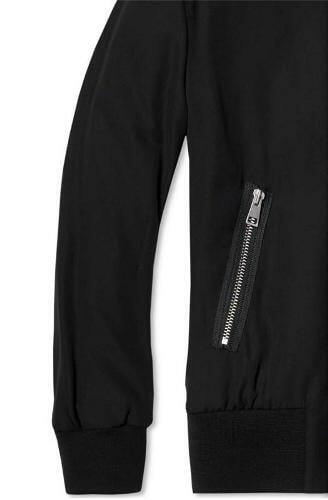 In bomber jacket, there will be no patches and mostly it has front zip closure. Letterman style jackets for men are one of those outfits which are worn on a regular basis. These jackets are presented in every possible color. People approximately wear it to either parties or anywhere else. It goes on whatever thing that you want to wear, where matching is regarded. 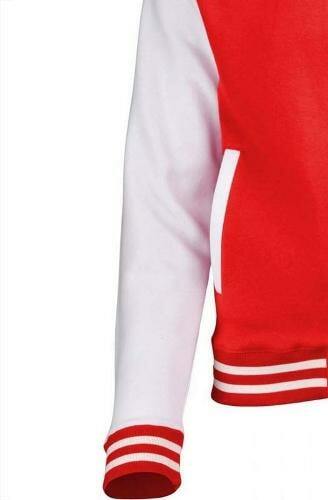 The public mostly prefer red varsity jacket mens to any other styles. The leather material on the jackets gives the person a classier look. They are the most bought attire in the world for one main reason, a modern look. Yes, a lot of young girls wear these leather varsity jacket women for the reason that it gives them a cooler look over all the others. What's more is that these jackets are specifically made to bring out the new generation look in you. These apparels are made of the highest quality of fabrics, so you get the best of the best. If you find it too costly anywhere else in stores, then you can with no trouble go online on this store of Fjackets.com, where the deals are discounted and the quality is first-class. The clothing materials of these jackets are all about leather and wool. They are made of absolutely top grain leather for the sleeves and wool for the body. It is slightly different from the usual jackets. It has a button front closure with light and comfortable quilted lining inside. Also, it is light weighted. It also a couple of side pockets on the waist area that makes it convenient for you to carry whatsoever items you have. It features rib knit cuffs to add a little style and comfort to it. 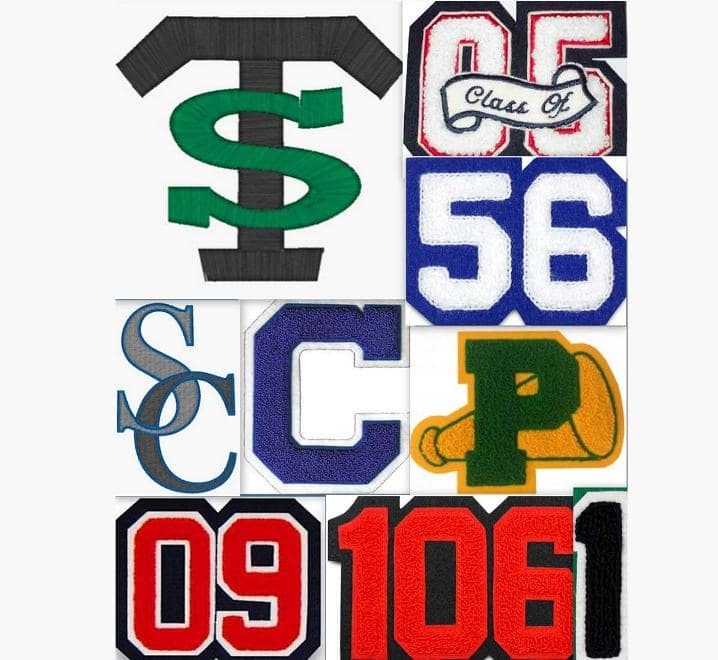 The colors that are available on Fjackets in including all black letterman jacket, black and cream, forest green and white, red and white, blue letterman jacket and white varsity jacket, and retro blue jackets. If you are a big fan of boys varsity jackets and prefer a comfortable, classic high school look then this is the best type jacket to wear.